Download a calendar of this year's Local Diving. While we might not have the ocean down the street, we still have some pretty great diving here in Utah. Join Dive Utah as we explore the best diving right in our own back yard. There is no charge to join us for a local dive (except for September-see below). Please call ahead to register so we know how many divers to expect. Ask about discount packages. Reservations are required for rental gear and you need to pick your equipment up at the shop, NOT at the lake. Air Fills - Please call ahead to check if the air trailer will be at the dive site. If so,fills are $10. If not, you will need to bring extra tanks. September Treasure Hunt/BBQ - Our annual Treasure Hunt/BBQ will take place on September 29. The cost for this event is $15 and includes lunch. 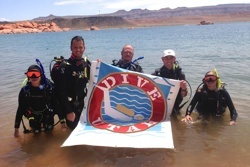 Check out our webpage for a complete list of all the fun places Dive Utah takes divers. Not just in Utah but all over the world!! There is no charge to join us for a local dive (except for the Annual Treasure Hunt/BBQ in September – see flyer). 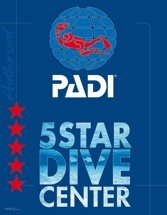 Please call ahead to register for a local dive so we know how many divers to expect.